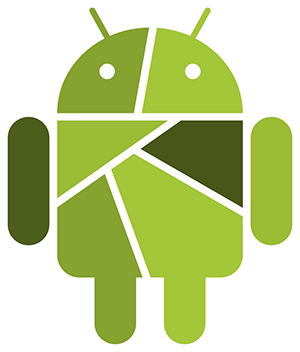 FicFinder project aims to help Android app developers to solve Android fragmentation-induced compatibility issues. We started from an empirical study of 191 real-world FIC issues to understand and characterize FIC issues. Based on the empirical findings, we proposed API-context pair to model FIC issues. With API-context pair model, we develop FicFinder on top of Soot framework. FicFinder successfully detected 14 previously-unknown FIC issues, among which eight were acknowledged by the app developers and five critical ones were quickly fixed. An online version of our tool, FicFinder. NOTE: The current online version may have some bugs. If you want to try out FicFinder, please contact Lili Wei (lweiae AT cse DOT ust DOT hk) to acquire a binary of FicFinder. New! Lili Wei, Yepang Liu, S.C. Cheung, Huaxun Huang, Xuan Lu, and Xuanzhe Liu. "Understanding and Detecting Fragmentation-Induced Compatibility Issues for Android Apps" in IEEE Transactions on Software Engineering (TSE). To appear. This is an extended version of our original ASE paper with a larger dataset and more studies. Lili Wei, Yepang Liu, and S.C. Cheung. “Taming Android Fragmentation: Characterizing and Detecting Compatibility Issues for Android Apps”. In Proceedings of the 31st IEEE/ACM International Conference on Automated Software Engineering (ASE 2016), Singapore, Sept 2016. ACM SIGSOFT Distinguished Paper Award. A preprint is available here. The slides for presentation is here. The data set and tool are released for only acedemic or personal use. We would very much appreciate if you accredit us when making use of the released materials.